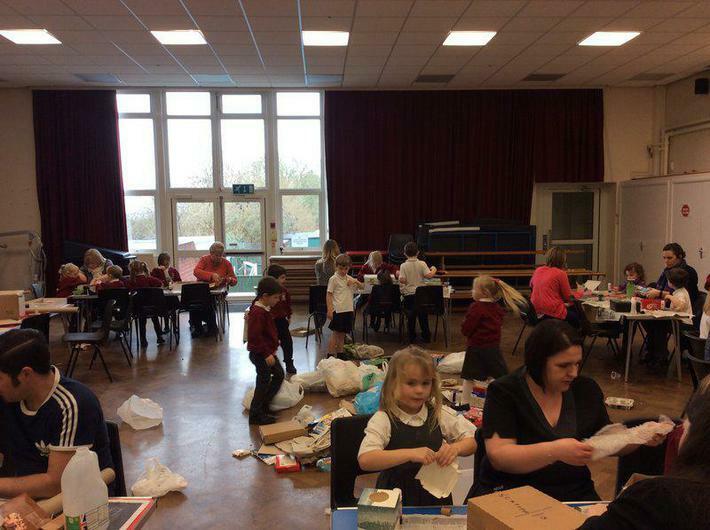 Parents Work-along making lunchboxes using recycled materials. We have been looking at the story The Lighthouse Keepers Lunch. We evaluated our lunchboxes, discussed the positives and negatives about Mr Grindling's lunchbox then designed our own. We used recycled materials because we've been learning about waste and ways to reduce waste. We had so much fun making them. Thank you to everyone who helped us. On Wednesday 28th September we went to Gore Farm. Click on the Activities Blog to see some photographs. We have been thinking this week about Mr Lomas-Walker and his amazing fundraising cycle ride in aid of our school swimming pool. We are so thankful to him, Paul and their team. We have written some comments and hopefully they will receive them today. Keep up the hard work and thank you again. We will be swimming twice a week. First on Monday morning and the second session is Friday morning. Please ensure your child comes with their swimming costume, towel, swimming cap and any swimming aids on both mornings. If you are available to help with changing or in the pool, please come and see one of the class teachers. Thanks. Fox class will be sharing their class assembly with the school and parents on the 3rd July at 9:10am. Join us for a hot drink and chance to chat afterwards. All of Year 1 wish you a very Merry Christmas and a Happy New Year! KS1 Nativity will be held on Tuesday 13th December and Wednesday 14th December. Please speak to the main office about getting a ticket. On Wednesday 20 July we will be travelling by coach to St Gregory's at Marnhull to join their Year 1 class for a picnic lunch and then pirate games on the school field. We will travel back to school at 2.30 pm. We have planned our School trip for the 29th June. More details to follow shortly. Class assembly date - 30th march. We had a fantastic morning on the 16th March with Annie, who taught us some Chinese dancing ready for our class assembly on the 30th March at 9:10. Our class assembly will now start at 10:10am to allow for the children to go to church for the Easter Service. Look at our News Update section for information on the week. We have been talking about bullying during circle time and encouraging the children to share any worries with a teacher or adult.